To accompany our thrilling new installation Quake! 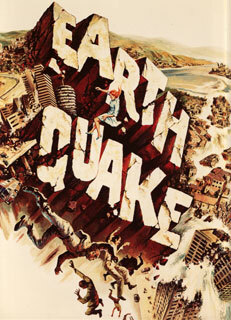 The 1925 Santa Barbara Earthquake, the Santa Barbara Historical Museum will offer an outdoor screening of the academy award-winning film Earthquake (1974). Our ongoing exhibit Ray Strong: Views of Santa Barbara County will be open for viewing as well. Enjoy your summer evening in our lovely Museum courtyard, complete with wine and beverages available for purchase. Mony’s food truck will be serving delicious tacos at 7:00 PM. Posted in Museum Events and tagged Downtown Santa Barbara, Film Screening, First Thursday, Local History, Santa Barbara, Santa Barbara Historical Museum, SBHM, wine. Bookmark the permalink.